A small fire in a failed heating unit in an unoccupied room at the Holiday Inn on Glenwood Avenue on Thursday night caused extensive damage, but not because of the flames. 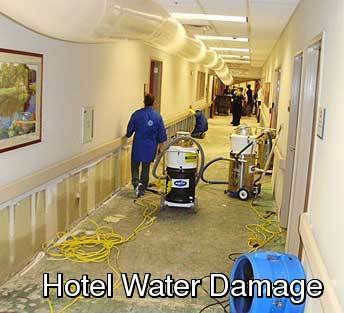 Fire sprinklers doused the entire 10th floor of the building, soaking carpets, furniture and wallpaper. Damage extended to an estimated 25 percent of the building, according to a Raleigh Fire Department report. About 70 firefighters arrived at the hotel just before 9 p.m. Thursday, but the sprinklers had already quenched the flames. No one was injured. â€œThey are designed to put a fire out, and the only way they can do that is to flow a lot of water,â€ Hicks said. With the holidays right around the corner, many businesses will host festive company outings and events for their employees, including parties at the officeâ€”and often these celebrations include alcohol. Some states have laws that govern “social host liability.”Â Through these laws, bartenders or social hosts can be held liable for events that result from over-serving someone (e.g. accidents, injuries, etc.). Â These laws would make the organization responsible for monitoring consumption and cutting off drinking by anyone who becomes intoxicated, so be aware of the laws in your jurisdiction. Employers must ensure that no one underage has access to alcohol. If alcohol is served to a minor, the employer can be subject to the same stiff fines and penalties that a store or bar that serves a minor would face. Â Accordingly, if underage employees will be attending the party, employers must be vigilant in making sure that they are not served or allowed access to alcoholic beverages. Employers who provide alcohol to their employees may unwittingly negate coverage under their general liability insurance policies and be on the hook for costs associated with alcohol-related incidents or injuries, so be aware of the limitations and exceptions applicable to your organizationâ€™s employee-related policies. There is an increased risk of sexual harassment-related complaints that result from company events where alcohol is present (e.g. the stereotypical office holiday party that is always satirized in movies and TV shows).Â Remember that even though the function might be held outside normal working hours, employees are still afforded protection from harassment or other inappropriate conduct that might be directed at them by their colleagues. A disabled customer who alleges she was injured in a fall while trying to open a door at a local restaurant is suing. Rosalie Miller filed suit against Johnny Trauthâ€™s Seafood Bistro LLC in the 24th Judicial District Court on Nov. 4. 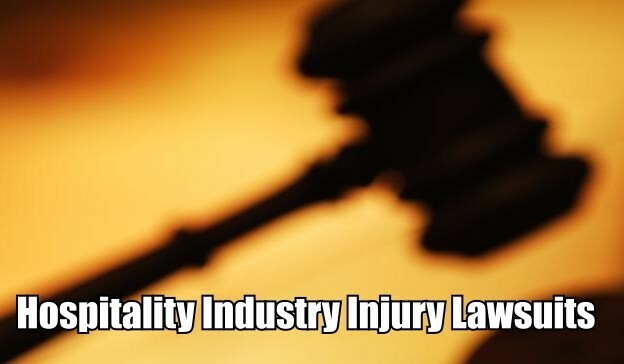 Miller claims she was a customer at Johnny Trauthâ€™s Seafood Bistro located at 2121 25th St. in Kenner.Â An unspecified amount in damages is sought for severe injuries, pain and suffering and permanent disability. Airlines, car rental companies and hotels ought to spy on their customers more often. Collecting information about you to improve customer service â€” and only for that purpose â€” could return the American travel business to greatness. Actually, figuring out which side of the bed you sleep on seems to be one of the hottest data points in the hotel business. The Ritz-Carlton, which also deliversÂ above-and-beyond service, notes your preferred side, says spokeswoman Allison Sitch. Why? Because that’sÂ where the staff will place a water bottle and other amenities, which means a lot when you roll out of bed in the morning. The volume of data being collected by luxury hotel chains such as Ritz-Carlton or Peninsula might make an NSA agent blush. 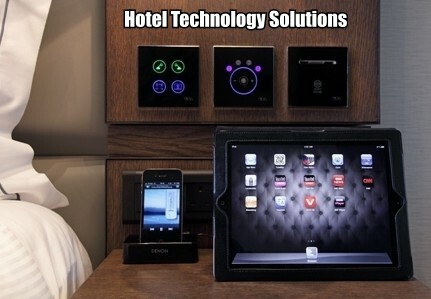 But the hotels gather it unapologetically, “as long as the data is being used to make the customer happy,” says Sitch. The insights were sent directly to front-line employees and managersÂ for their feedback. La Quinta responded by adding signs and more prominently displaying the healthy foods they already offered, and customer approval rose. La Rana Hawaii, LLC, doing business as SeÃ±or Frog’s, a popular Mexican-themed restaurant and bar in Honolulu, will pay $350,000 to settle a lawsuit filed by the U.S. 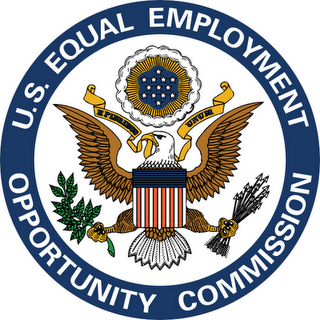 Equal Employment Opportunity Commission (EEOC) on behalf of 13 female employees who were allegedly sexually harassed or retaliated against between 2007 and 2012, the federal agency announced today. The EEOC alleged that the managers subjected employees to sexual comments, language and advances, and unwelcome physical contact. The alleged behavior violated Title VII of the Civil Rights Act of 1964. The EEOC filed suit (EEOC v. La Rana Hawaii, LLC dba SeÃ±or Frog’s & Altres, Inc., Case No. CV-11-00799 LEK BMK) after first attempting to resolve the matter through its conciliation process. As part of the settlement announced today, the parties entered into a three-year consent decree requiring La Rana Hawaii, LLC to pay $350,000 to 13 female claimants. The company closed its Honolulu establishment in August 2012. Notwithstanding, if La Rana chooses to open another restaurant or chooses to reopen the SeÃ±or Frog’s in Hawaii, the consent decree requires substantial injunctive relief including the creation and distribution of an anti-harassment policy along with annual training for all restaurant employees to prevent future instances of sexual harassment, discrimination and retaliation. The EEOC will monitor compliance with the agreement. Altres Inc., a Hawaii staffing company, was contracted by La Rana Hawaii to provide human resources services and oversee the company’s non-management staff during the time in question. The EEOC also named Altres in its lawsuit; Altres previously settled with the EEOC for $150,000 and injunctive relief, including EEO training for its employees. In the second episode of Hospitality Law Insider, Stephen Barth covers some essential items to consider when adapting your travel risk plan to meet duty of care obligations. Learn more about how to deal with medical issues, evacuation considerations, and civil unrest. Ronald Tobin, a former employee at Fess Parker DoubleTree Hilton, is suing the joint resort company and three of its supervisors for alleged discrimination and unfair business practices while he worked there as a painter for nearly three years. Tobin, whoâ€™s African-American, claims he was subjected to discrimination and harassment at the DoubleTree because of his race, and that the human resources department neglected to investigate or address his complaints. During an event at the hotel, the lawsuit reads, one of Tobinâ€™s supervisors talked about the chicken and watermelon being served, and used the phrases â€œyou peopleâ€ and â€œyour food.â€ â€œ[The supervisor] continued to state that he does not know why African-Americans refer to themselves that way when white people do not say â€˜Caucasian-Americans,â€™â€ the filing reads. The lawsuit also states another employee regularly used the â€œn-wordâ€ without beingÂ reprimanded. Investigators determined that Miracle Springs Resort and Spa, and the nearby Desert Hot Springs Spa and Hotel, were under the same management, but they recorded employee hours on separate payrolls. When the affected employeesâ€™ hours were combined, the hours often totaled more than 40 per week, entitling the employees to overtime compensation for hours worked beyond 40 per week. Additionally, the employer would automatically deduct a 30-minute lunch break from some employeesâ€™ work hours, even when employees did not take the break. The hotel Miracle Springs Resort and Spa of Desert Hot Springs has agreed to pay $59,790 in back wages to 53 employees, including maintenance and housekeeping employees, following an investigation by the U.S. Department of Laborâ€™s Wage and Hour Division. The investigation found violations of the overtime provision of the Fair Labor Standards Act. 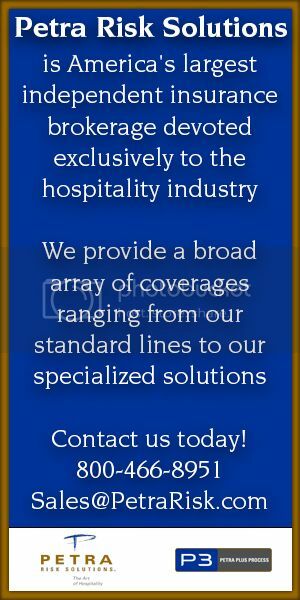 The employer, along with paying the full back wages to the affected employees, will maintain future FLSA compliance by agreeing to combine the hours for employees who work at both hotel locations. The employer will deduct lunch breaks only when employees take the 30-minute break. 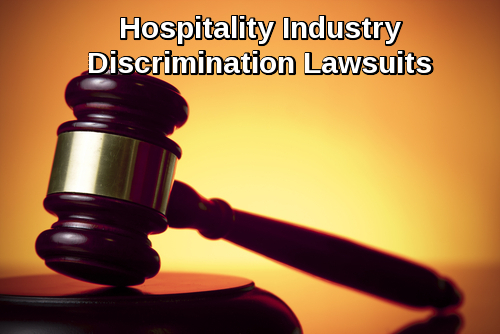 The hotel and motel industry employs many low-wage workers who, due to a lack of knowledge of the law or an unwillingness to exercise their rights, are vulnerable to disparate treatment and labor violations. 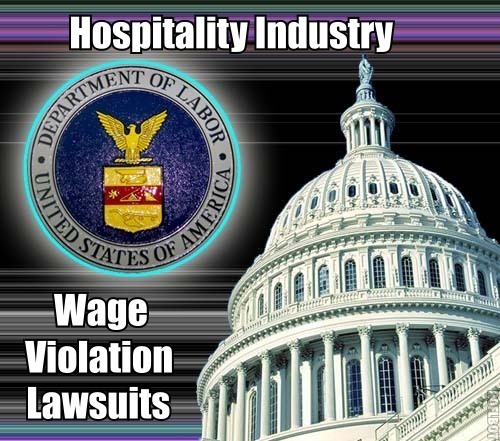 The Wage and Hour Division is concerned about the noncompliance in this industry and is concentrating its resources on identifying and remedying violations, informing workers of their rights and providing compliance assistance to employers. 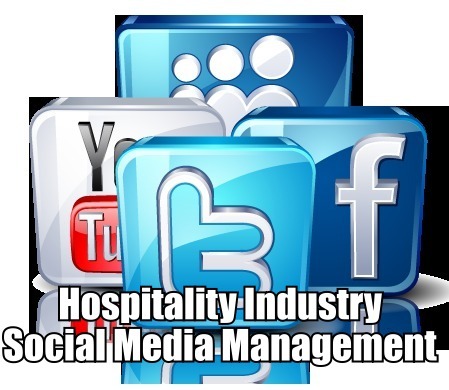 Following in the wake of a recent tweet-a-coffee initiative from Starbucks,Â Loews Hotels and Resorts have made the decision to allow social media users to book a room through Twitter. With 34% of hotel room revenue comes from online and mobile app bookings, the chain is hoping to give people in their 20s and 30s another way to book their stay without having to pick up the phone. Hereâ€™s how the process works:Â Send a tweet to @Loews_Hotels with the hashtag #BookLoews to show youâ€™re interested, after which a Loews travel planner will join in the conversation. Once all the details are taken care of, the planner will tweet a link to a secure chat conversation where you can process your payment information.